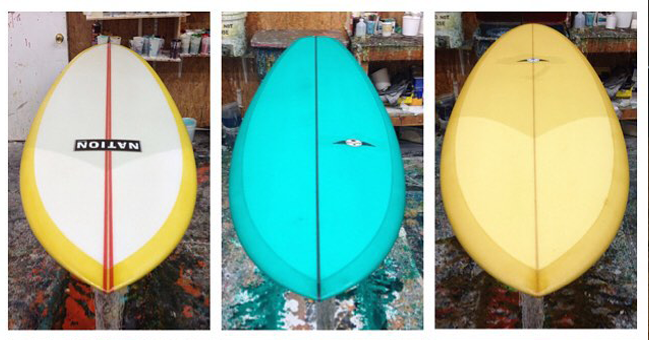 We have already gone over a number of construction methods and the materials used on and in surfboards in our PU or Epoxy and also the Ideal Construction articles. 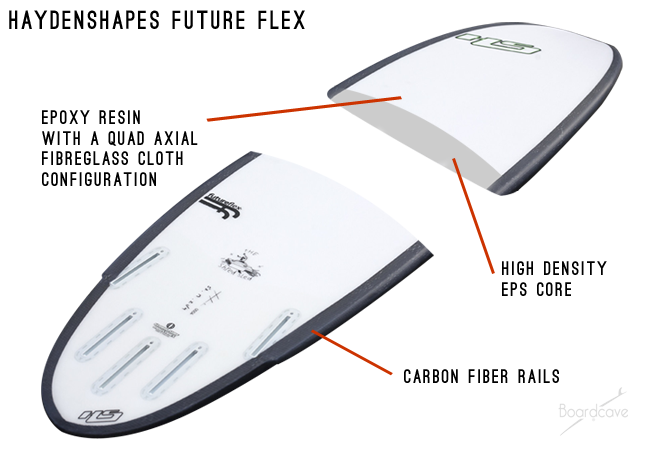 But due to a number of enquiries, it seems that people are interested in some more information related the the actual fiberglass or “skins” that surrounds the foam and need a little help to clarify what’s what and what they should be getting on their custom boards. To keep things simple for now, we will look at the most common styles of fiberglass cloth used by the majority of board builders world wide. We will talk about the different ounces and weave patterns used, how they all affect your surfboard and why some shapers may pick one or a combination of a few for the individual boards they build for each customer. Some glassing going down at Stamps Surfboards. Image: ASILDA Photography. 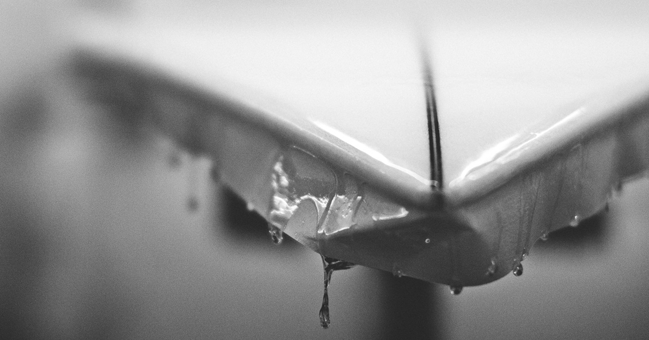 Most surfboards have some sort of “skin” around the core which is usually made up of some sort of cloth and resin. The Majority of the time this cloth material is made up of a fiberglass based weave of some sort. There are exceptions, like with experimental or alternative fabrics or where someone is trying something new. Sometimes environmental reasons prompt some board builders to try fabrics such as bamboo. Sometimes it is structural experiments like using full carbon fiber, kevlar, or even experiments with basalt based weave, derived from volcanic rock. For the most part though, a fiberglass woven cloth has is the go for the majority of board builders around the world to this day and will continue to be so for a long time to come. A few of the most common styles that are proven and staples in the industry include 4oz E and Warp (don’t worry, we will get into explanations soon). You will also find the E and Warp in 6oz commonly. There is D-sized and S-glass (which is linked with the finish on the cloth); and there is Volan, which is commonly found with heavier cloths like 8oz and 10oz and used on many classic style logs and retro or alternative boards. The Hypto Krypto gets technical with all the bells and whistles including quad axial cloth. The most common style of cloth used by most board builders around the world is the E Glass in both 4oz and 6oz. 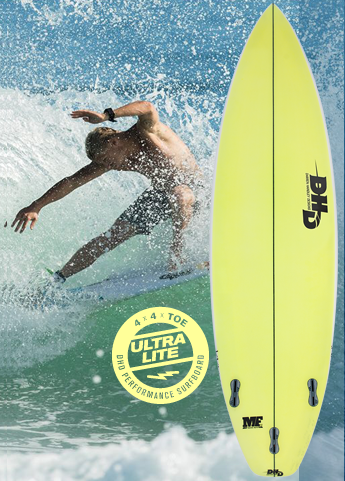 This is the go to for in the majority of surfboards as it is a blend of good strength and performance for most surfboards, and it is also the most cost effective for the manufacturer and in turn, the customer. It can be laid up in a number of combinations, for example, with standard shortboards you will often find two layers of 4oz E on the deck and one layer on the bottom (4+4 x 4). For a heavier footed surfer and on many alternative/retro shapes as well as some longboards, board builders will blend a layer of 6oz and 4oz on the deck, and either do a 4 oz or 6oz bottom. For a little more strength you can do two layers of 6oz on the deck and one on the bottom (6+6 x 6), also common on longboards where you need the strength but still want to keep the weight down. From left to right, some of DHD Surfboards glassing options, Standard 4x4x4, Ultra Lite 4 x Toe Patch x 4 and Strong Deck 4x6x4. Warp Glass, also commonly found in 4 and 6 oz, is an “E” glass as well, except there are more fibers running up the length of the weave (the warp) as opposed to the width (the fill). This will add a little more strength and structure vertically to your boards and can be a good option for those who tend to buckle boards easily or for longer boards to help keep them strong when the flex. It won’t totally solve your buckling nightmares, but it will at least help a little. It tends to lay down flatter than traditional E glass when laminating, so many board builders will use it as the top layer to help ensure a nice clean finish, especially if your board is getting color work and or a gloss coat. Most of the time, however, board builders will have to blend this with a standard “E” glass. If you have two layers of Warp laid up together, the weave can give you a funny look because there will be too many fiber strands running together vertically up and down the board. Now, when you really want to start adding strength to a board while still keeping the weight down, you can start looking into D-size cloth. This is in reference to the finish of the cloth. Most cloths, whether they are E or Warp, will have a “finish” on them. This is what allows the cloth to feel softer, and therefore lay down on the board better for the guys who glass the boards. This finish also adds to the look of the cloth in terms of how clear or white your board is going to look after it is complete. With D-size cloth however, the fiberglass strands come straight off the loom with no washing or “finish” put on it. This makes the material a little stiffer to handle when glassing, but adds a lot of strength to your board. If it is of good quality, D-sized cloth can also be the clearest of the bunch, which allows your board to look as “white” as possible. It does add to the cost of the board, but not by very much. This style is also commonly found in 4oz and 6oz, mostly with the standard weave but sometimes in a Warp weave as well. “S” glass is a little more expensive, but it can definitely be worth it to have that added strength to the board. Also found most common in 4 and 6oz, S glass has a special “finish” making it one of the strongest options available. 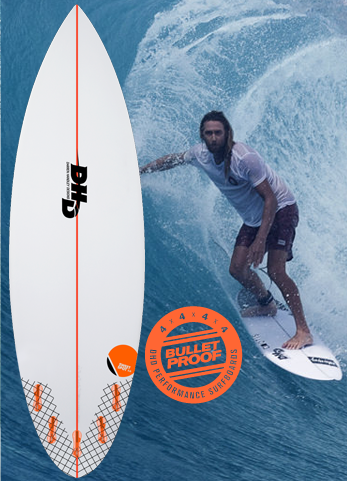 Often used by shapers for their team riders, it allows them to get away with only putting a single layer of 4oz on the deck to make the board that much lighter for competitions, and high performance, critical surfing. It is not enough strength to warrant a regular surfer to go with one layer, but if you do the standard two layer deck, you have an extremely strong board. A SUPERBRAND inlay being laid out on The Vapors model – often used with S-Glass. Now let’s take a step back from the shortboard arena and have a look at material that is very common on classic Logs and some other retro or alternative designs….Volan’s. Commonly found in 7.5 (often called 8oz) and 10oz, Volan cloth actually came from the boat and tooling industry, and is what was available for surfboard builders in the 50’s and 60’s. It is a much heavier cloth, and can absorb a lot of resin. This makes for a very strong and heavy board, which is great for traditional style longboards where weight is often an advantage. It has a greenish hue to it which can give even a brand new board a nice classic look. Two layers on the deck can be too heavy however, so many board builders will combine this with a 6oz E or Warp cloth on top of a single layer of either 7.5 or 10oz Volan. This helps again with color work and for a cleaner finish, while still being able to see the classic weave of this heavy cloth. A little bit of Volan deck patch work and some combo’s of 4oz and 6oz happening with these Nation beauties. There are so many other fabrics of different ounces, materials, weaves available on the market. With this article, we just wanted to help clear the air for some of the most common styles used for the majority of boards produced throughout the world. 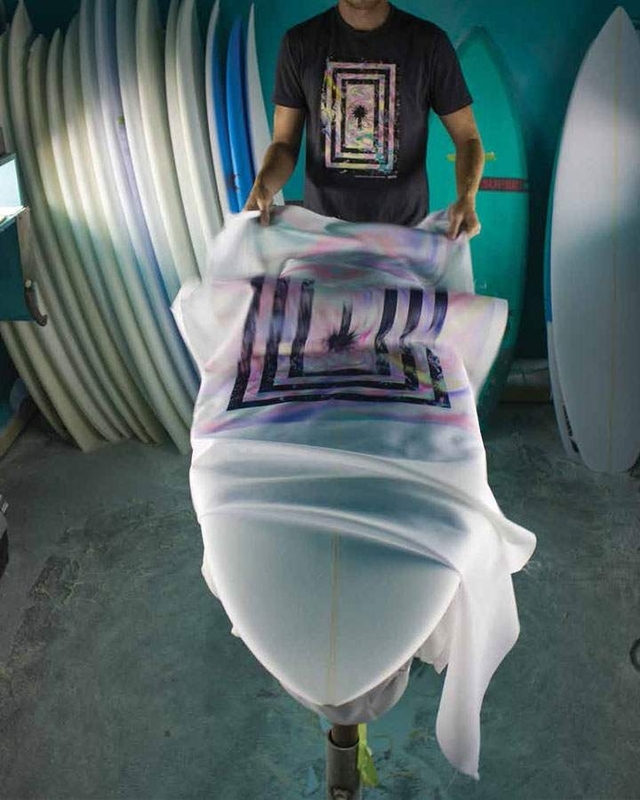 Just like everything related to surfboard design, concave, tails, noses, rails, rockers etc., there are multiple combinations of the above mentioned styles of fabrics that might be used for one reason or another. An example could be combining a layer or D-sized cloth with a standard E, to give you a little more strength, keeping weight down and managing cost. As always, it all depends on what you are looking for, how the board is intended to be surfed and the strength to weight to cost ratios. As with anything in this world, you get what you put into it, so if you are willing to spend a little more money, you can have a board that lasts you much longer. Mick Fanning on his Ducks Nuts Replica with Ultra Lite 4×4 glassing and Asher Pacey trying out the Bulletproof 4x4x4x4 glassing on the Sweetspot 2.0 model. What’s your preference for glassing? Join the conversation and share your thoughts in the comments below. Make sure you check out the Board Engine to find a range of boards all made in the USA by professional shapers at the top of their crafts.